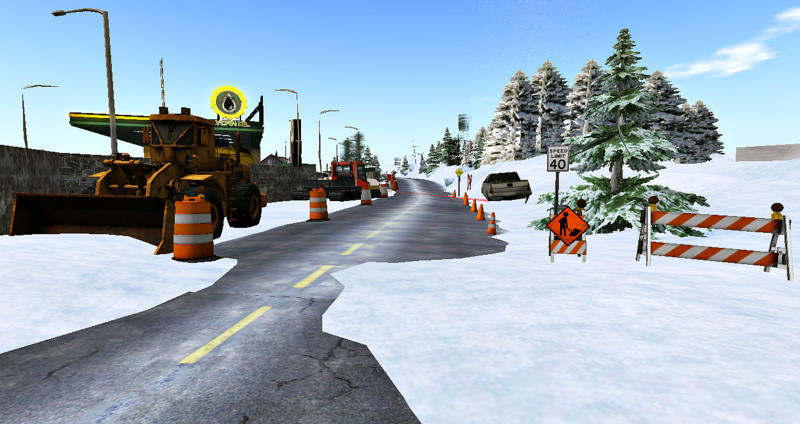 The Linden Department of Public Works has heavy equipment and road cones out near the Rez Zone in Scorze. 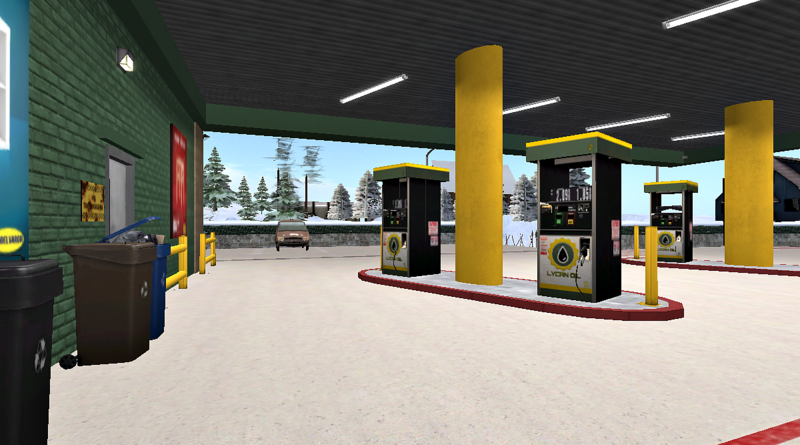 A new fuel station has gone in and changes were needed for an entrance and exit. The 1536 sq m parcel is called SHiNYbrand FOB “Hot Cocoa“, the brand is Lycan Oil and the owner is connected to the GTFO (Get The Freight Out) stations that have been appearing all over the mainland during the last year. 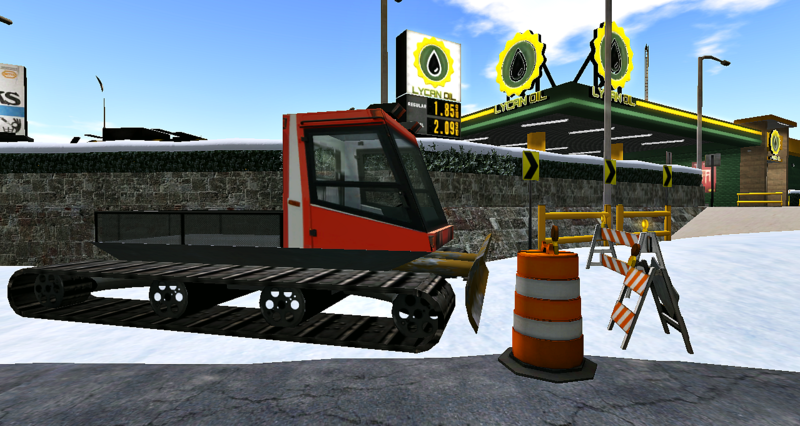 GTFO is a cargo transport game. There is no indication when the construction will be completed. 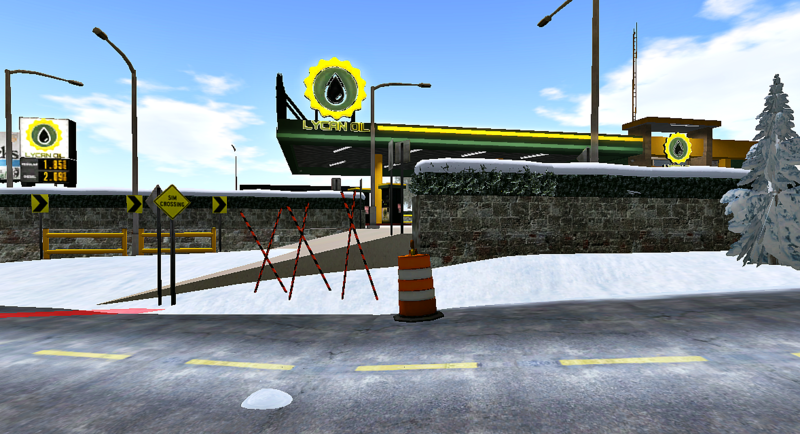 The rez zone has been an active location for as long as I’ve been interested in the area. This area, as well as others on the mainland, has been showing signs of revitalization. There are two new airports nearby, one in Bretton and one in Minarlo Vite.